0L: This term is often used for prelaw or non-law students. 1L, 2L, 3L: The years of law school. 1Ls are in their first year, 2Ls are second years, and 3Ls are in the third year. 25th/75th: These are the GPA and LSAT percentiles reported by law schools to the ABA, when combined with the GPA/LSAT medians, these numbers provide a snapshot view of the types of applicants a school tends to accept. the 25th/75th numbers are often used when identifying Splitters. 509s: In accordance with ABA Standard 509, each law school must release a yearly report providing information about the school, classes, class sizes, faculty, students admitted, transfers, tuition, and grants and scholarships. Standard 509 Reports can be extremely helpful in understanding the basics of how a school operates, especially from an admissions standpoint. ABA: American Bar Association. This organization credentials lawyers and accredits law schools. Attending an ABA-approved law school allows you sit for the Bar in any state. Adcom or Adcomm: Admissions Committee, the group of individuals at each law school who reviews your application and determines your admissions fate. Addendum: A supplemental essay written by law school applicants to address an issue that isn’t easily addressed elsewhere. 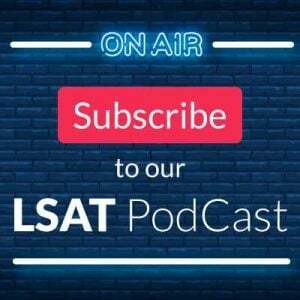 Examples of addendum topics include: a low LSAT score, a low GPA or a bad semester of grades, criminal issues or multiple arrests, and diversity statements. ASW: Admitted Students Weekend. These events offer admitted students a chance to interact with other admitted students and get an up close and personal look at the school and some of the faculty. Bar: The Bar Exam, the test after law school required to become a practicing lawyer. Biglaw: These are the larger firms in the legal field, often thought of as having more than 100 attorneys on staff. Firms of this size often pay high starting salaries and are thus considered desirable places to work. Positions in these firms are often difficult to obtain and carry a significant work expectations. CAS: Credential Assembly Service. Run by LSAC, this is a clearinghouse for all your application information, including LSAT scores, transcripts, and recommendations. All ABA-approved law schools require the use of CAS. CCN: Columbia, Chicago, and NYU, the three law schools ranked #4, #5, and #6 according to the US News rankings. EA/ED: Early Action (EA) and Early Decision (ED). These are admissions options at various law schools that typically involve applying early, but they also result in knowing your application status early in the process. Early Action provides a result by a set date; Early Decision does as well, but usually requires a binding commitment from you to attend the law school should you be accepted. ECs: Extracurriculars, the non-academic activities and hobbies that you engage in. Experimental: The Experimental section appears on the LSAT, and is unscored. Students are not told prior to the test which section is experimental. GPA: Grade Point Average, the average of all your grades achieved in college. Most schools focus on your undergraduate GPA (UGPA) and place minimal emphasis on other grades, including those from graduate school. Gray Day or Grey Day: This is the day that LSAT scores are released from each test administration. The “gray” refers to the test link icons in your LSAC account. 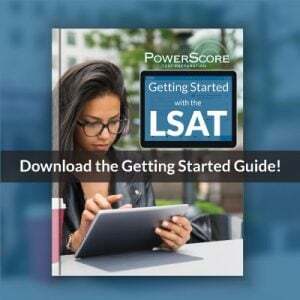 In the LSAT Status section, under LSAT Documents, there are links to various parts of the test (Item Response Report, IRR Additional Information, Answer Sheet, Writing Sample, Conversion Table, and Disclosure Book) that allow you to download PDFs of the exam once it is released. These icon links are normally green, but in the minutes before the score release, these icons turn gray. Thus, when that occurs, you know that scores are coming soon, hence the moniker “gray day.” On Twitter, this is often shortened to #grayday or #greyday. HYS: Harvard, Yale, and Stanford, the top three law schools according to the US News rankings. JD: Juris Doctorate degree, the degree you receive upon graduating from law school. K-JD: A person who goes from high school to college to law school with no breaks or time off (other than regular summers). LLM: Master of Laws degree. This is a specialized graduate law degree for students either with a JD or holding an international law certification. The program typically lasts one year, and focuses on an area of specialization, such as tax law. LOCI: Letter of Continuing Interest. This letter is typically sent by a student when placed on the waitlist, and serves as a confirmation to the school of the student’s intent to enroll in the school if accepted. LOR: Letter of Recommendation. These are the letters written by professors, work colleagues, and friends in support of your law school candidacy. LRAP: Loan Repayment Assistance Program. These programs are designed assist law school graduates entering public service positions with educational loan repayment. LSAC: Law School Admission Council. This company oversees the administration of the LSAT and operates CAS. 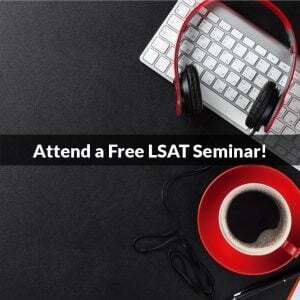 LSAT: Law School Admission Test, the test required for admission to law school. Median GPA/LSAT: The midpoint of the distribution for a school’s admitted students. Median GPA and LSAT numbers give applicants a quick sense of where they stand in relation to the types of students a school has accepted recently. NonTrad: A non-traditional law school applicant. The traditional law school applicant is usually just out of college and has minimal work experience. Non-traditional law school applicants, or nontrads as they are commonly known, differ from the typical applicant and are often older with many years of work experience. PT: PrepTest, which is an actual released LSAT from LSAC. These are official tests that were released after they were administered, and give you an excellent insight into how you would perform on a real test. PTing also can refer to “practice testing,” which is the process of taking a PrepTest under timed test conditions. Rolling Admissions: Most law school use this process for admissions, which means they consider applicants in batches as the come in (as opposed to waiting until the admissions deadline has passed and then considering all applicants at the same time). Thus, when the admissions window opens there are the greatest number of seats available and the fewest applicants, and as the process goes on there are fewer available seats but more applicants vying for those seats. Consequently, when applying to law school you gain an advantage by applying as early in the process as possible. Softs: The elements in your application can be divided into two components: Hard Factors that include your GPA and LSAT score, and Soft Factors that include everything else (extracurriculars, your personal statement, your recommendations, etc). Splitter: Splitters are candidates who have either a high GPAs and low LSAT score, or a low GPA and a high LSAT score. There are multiple versions of splitters, including reverse splitters, super splitters, and super reverse splitters. T14 or Top 14: The schools that have consistently ranked in the Top 14 law schools in the US News rankings. In alphabetic order, these schools are: University of California, Berkeley; University of Chicago Law School; Columbia Law School; Cornell Law School; Duke University School of Law; Georgetown University Law Center; Harvard Law School; University of Michigan Law School; New York University School of Law; Northwestern University School of Law; University of Pennsylvania Law School; Stanford Law School; University of Virginia School of Law; Yale Law School. Note that other “T” designations based on the USNews rankings exist as well, such as T6, T25, T100, etc. Tiers: These are classifications based on dividing the schools in the US News rankings into four groups of roughly 50 schools each. Tier 1 schools are the top schools (1-50), and include schools such as Harvard and Yale. Tier 2 contains schools 51-100, and so on. UGPA: Undergraduate Grade Point Average, the average of all grades you achieved while an undergraduate. The UGPA is the standard number used in law school admissions because every applicant has an undergraduate GPA (whereas far fewer have a graduate GPA). UR1, UR2, etc: Under Review 1, Under Review 2, etc. These are application status indicators used by some law schools to update applicants on the progress of their application review. URM: Under-Represented Minority. URM status in admissions refers to a group of students whose racial or ethnic population in law school is less than that of the general population. Groups typically considered URMS include African-Americans, Mexican-Americans, Latinos/Hispanics, and Native Americans. WE: Work Experience. Exactly what it sounds like. WL: Wait List. A sort of admissions purgatory where an applicant is neither rejected nor accepted, but remains a possible admit. Law schools typically rely heavily on their Wait List. Yield Protection (YP): Occurs when a school will decline or waitlist a highly-qualified student because they expect that said applicant will not attend the school even if accepted. This makes their admit and matriculation numbers look better while not actually costing them a student who would attend. Have some terms we should add? Please let us know in the comments below! Image: “DNA” courtesy of MIKI Yoshihito.